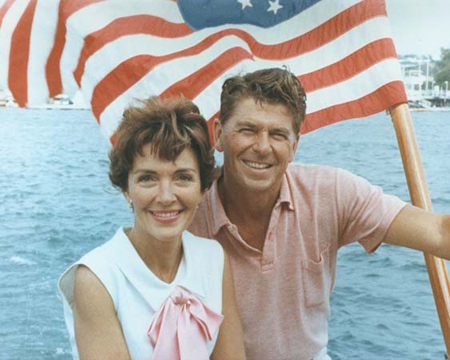 Perhaps my favorite (famous) love story of all time is that of Ronald and Nancy Reagan. 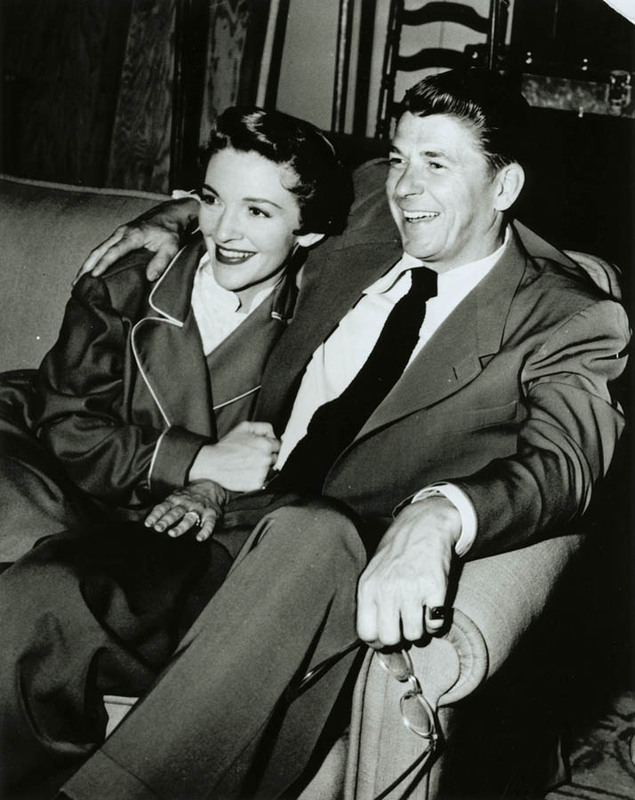 From the start of their relationship (when they were both actors), and until the former president died, they were a high-profile couple – and their devotion and immense love for one another was well-documented. (So much so, that in looking for photographs to use on this post, I would say that they are probably the most photographed couple in the world. A blessing and a curse, I’m sure.) 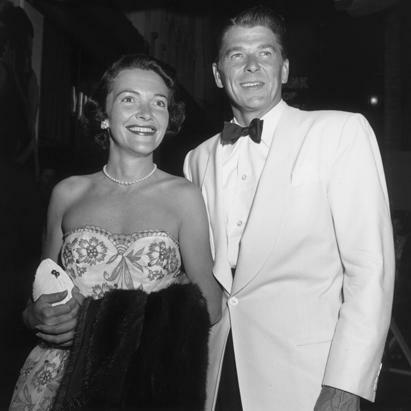 The couple met in 1949, when the only “president” title he held was that of the Screen Actors Guild. 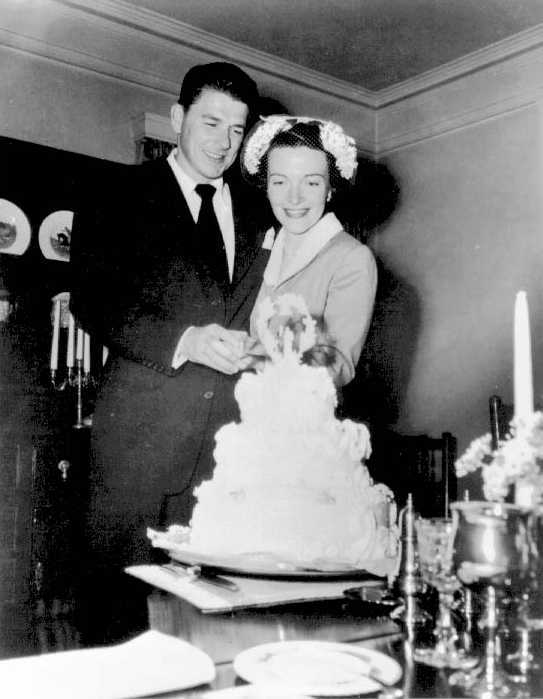 They began courting after meeting, and the pair married in a private ceremony (only two other people were present) in 1952. 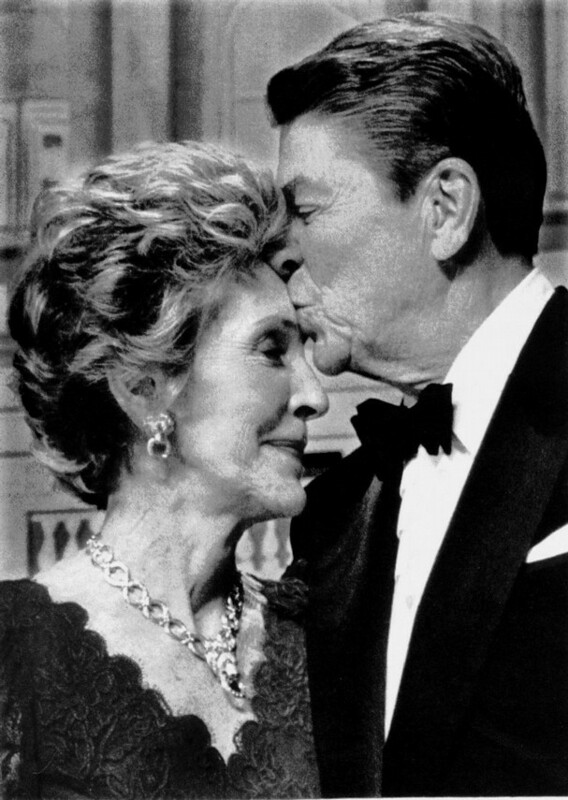 For a couple who lived a very public life (from the California Governor’s Office to the White House) they were often described as “intimate” and openly admitted that they weren’t complete without the other one present. 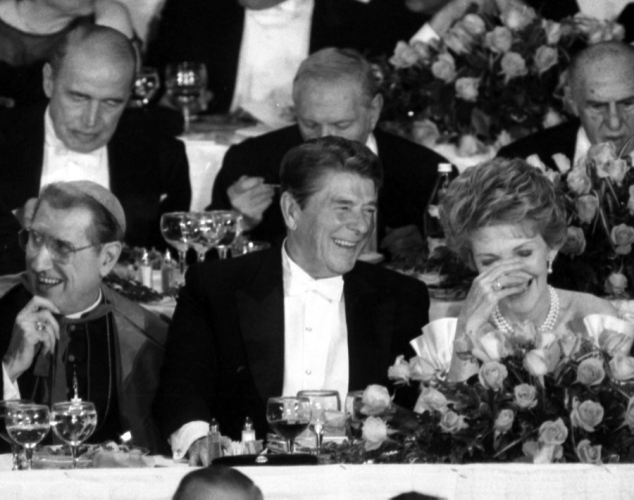 To the world, he was President Reagan. 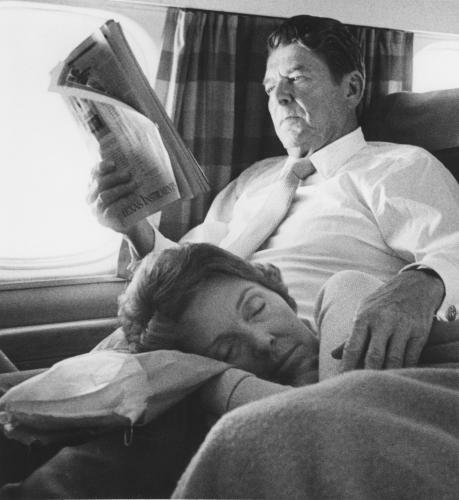 To her, he was Ronnie, the partner who wrote her hundreds of letters – some he wrote while she was across the country, some while she was across the room. In reading a few of them as research for this post, I was struck by how playful, yet sincere their letters to one another were. 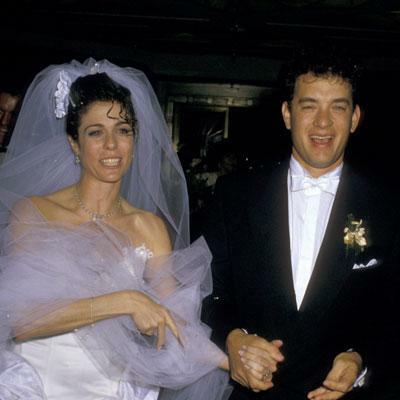 It truly seems as if they never stopped courting one another. Your loving, faithful devotion has been observed these 19 (some say 20) years. There are no words to describe the happiness you have brought to the Gov. It is no secret that he is the most married man in the world and would be totally lost and desolate without you. It seemed to me you should know this and be aware of how essential you are in this man’s life. By his own admission, he is completely in love with you and happier than even a Gov. deserves. 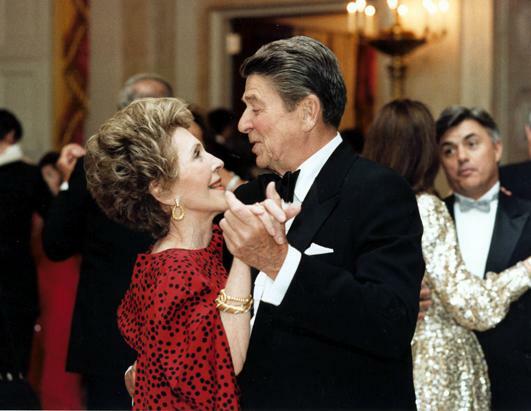 After the attempted assassination of President Reagan in 1981, it is said that Nancy became fiercely protective of her husband – she knew every detail of his schedule and accompanied him as often as possible. When he was diagnosed with Alzheimer’s Disease, she was again his chief protector – never allowing cameras/media to photograph him in his late years. On December 19th, the day before my 32nd (Good Lawd) birthday, and the day after my now husband’s birthday, I married the absolute love of my life. With our families surrounding us at our home on that Monday night, we said our vows. We told a few friends beforehand, but there was no formal engagement. Dating one day, married the next. Scott (that’s his name) and I met a few years ago. It wasn’t until we were both single that our acquaintanceship turned to friendship and then to more. I’ve never met anyone like him. He’s brave, he’s kind, he’s funny, he’s strong, he’s smart, he’s a wonderful father, listener and partner. He makes me better and whole. Scott has given me the life I was waiting for, and I hope I have done the same for him. Martini: Why did you do it, then? Frances: Because I’m sick of being afraid all the time. And, because I still want things. I want a wedding in this house, and I want a family in this house. When I think about our little wedding on a Monday night in December, by the Christmas tree, with our daughters as bridesmaids – I tear up every time. What a sentimental sap I’ve become.